Palmer Square West on Palmer Ranch is located on Sarasota Square Boulevard, just a short walking distance from the Sarasota Square mall, movie theaters, Potter Park YMCA, and many more. Just off of the Tamiami Trail or Route 41, this maintenance-free enclave of chic Palmer Ranch townhomes provides residents a relaxing ambiance in a resort style community—with everything else close by. Palmer Square West real estate is composed of spacious townhomes ranging in size from 1800 to 2800 square feet. Built in the early to the mid 2000s, the units are priced between the high $100s to the low $300s. Prospective buyers looking for a primary or secondary home in Sarasota should look into the listings of Palmer Square West townhomes for sale. There are choices for floor plans having two to three bedrooms with decorative pond views or that of a nature preserve. 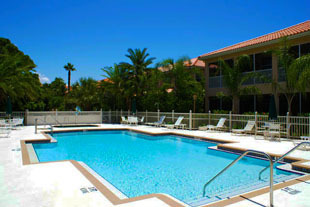 The closely knit community has a pool where residents can mingle with one another and share the glorious Florida sunshine. Those looking for more exciting pool activities need only head a short distance south to the Sarasota Family YMCA complex on Potter Park Drive. The Selby Aquatic Center across the Y offers an Olympic size swimming pool and a water park that is sure to delight everyone in the family. Shopping and dining are never a problem because the mall is a mere stone’s throw away from the Palmer Square community. Westfield Sarasota Square houses over 140 stores, including JCPenney, Macy’s, Sears, and a number of specialty boutiques. Dining options range from cafes to restaurants and casual to classy. Of course, malling is more fun when you can watch a movie afterwards. That’s why the AMC Sarasota 12 features 3D movies for a more enjoyable viewing experience. Palmer Square residents can also purchase a membership and play golf on the rolling 36-hole course at TPC Prestancia, just northeast of the community. On Beneva Road to the west is the entrance to Serendipity Racquet Club, which offers 19 Har-Tru tennis courts, exceptional swimming and wellness facilities, and a social calendar brimming with refreshing activities. Play a game of Bridge or Bingo with the country club regulars. 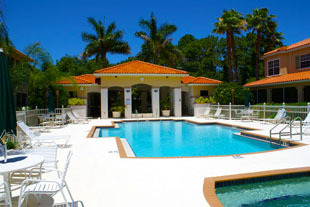 Mingle with other singles at the clubhouse barbecue by the pool. Show off those moves at a dance party. 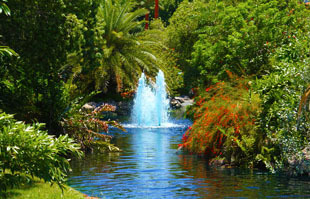 There’s plenty to do and so many great ways to enjoy Palmer Ranch and Sarasota. After a day at the mall or at the country club, it’s nice to go home and relax in your private sanctuary at Palmer Square West, and enjoy the peace and quiet of the exclusive community. Below you will find a complete list of Palmer Square West Townhomes for sale.